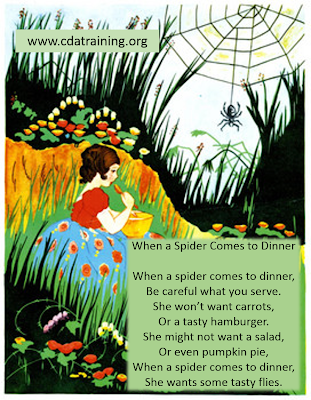 Spider webs are sticky and catch all sorts of bugs. 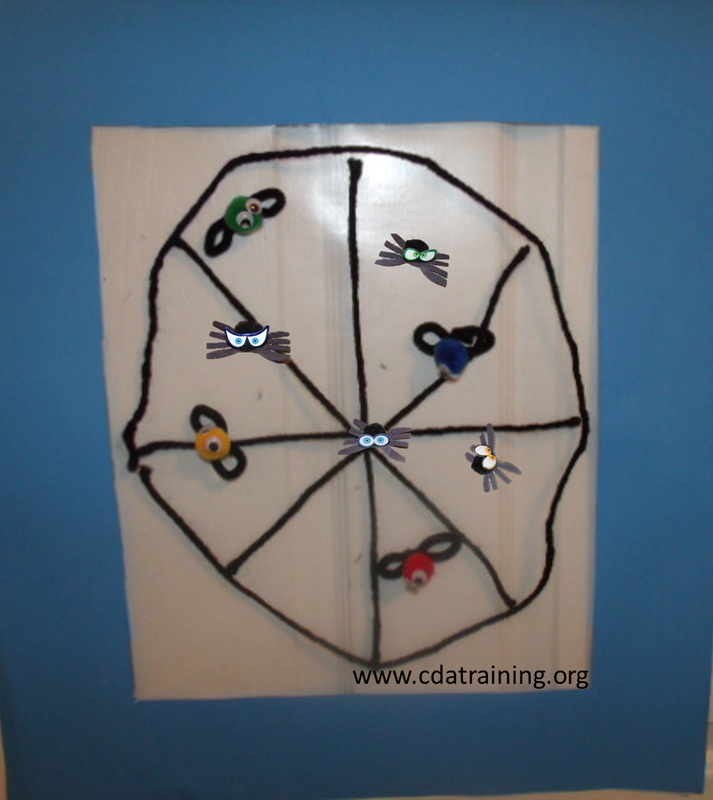 This game uses contact paper, spiders and flies. 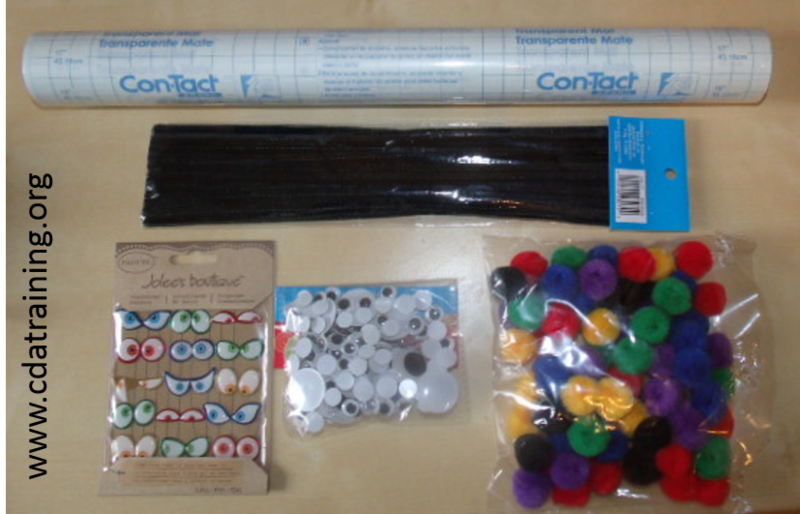 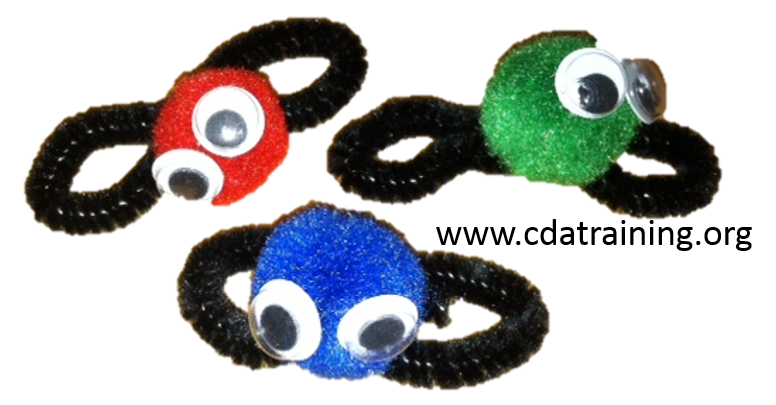 Materials needed: contact paper, poster paper, fuzzy balls, pipe cleaners, black construction paper, wiggly eyes. Cut a hole in the poster board, and put the sticky side of the contact paper facing out. Put spider web up in the window, or on the wall. 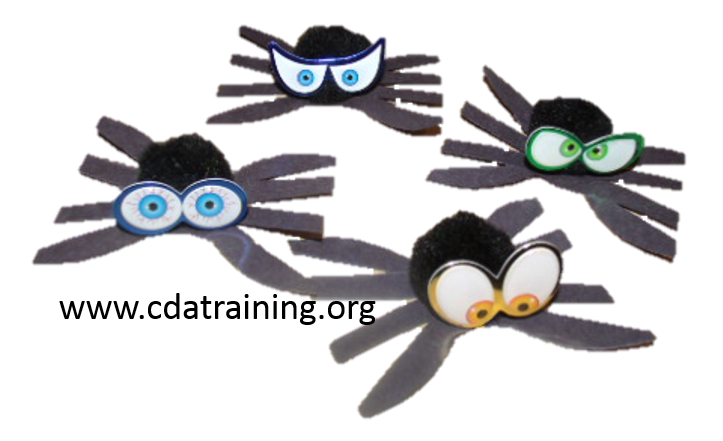 Let the children put the flies and spiders on to the contact paper.